Hey anyone else got the problem that the new GA aircraft ( Piper) get stuck on the stand? Is there any trick to get it removed? If I reload the game the will approach again and get stuck again at the stand. Hello, can you show us some screenshots? Does it only happens with the Piper? I can’t think of any specifically that would cause it to stall but then again it is not impossible. Is this the native game Piper, or a Mod version? It’s the nativ game Piper. 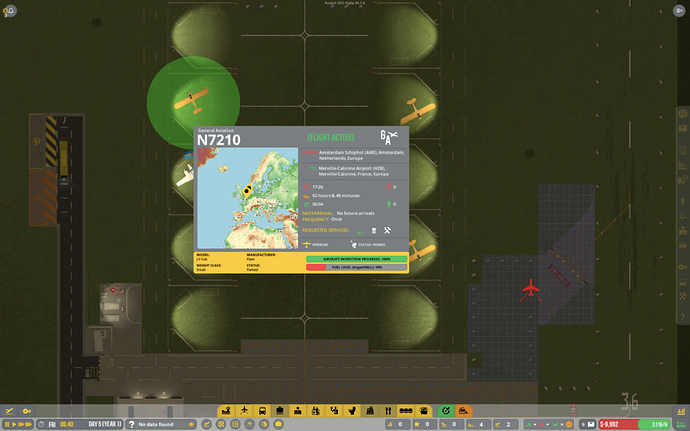 When I got one parked on a stand save and reload, it will land again go to the stand, will not refuel ( even the 0% is green) and will miss it’s departure time. I’ll will get some screenshots in the evening, it just makes the game unplayable at the moment because they are occupying the stands. 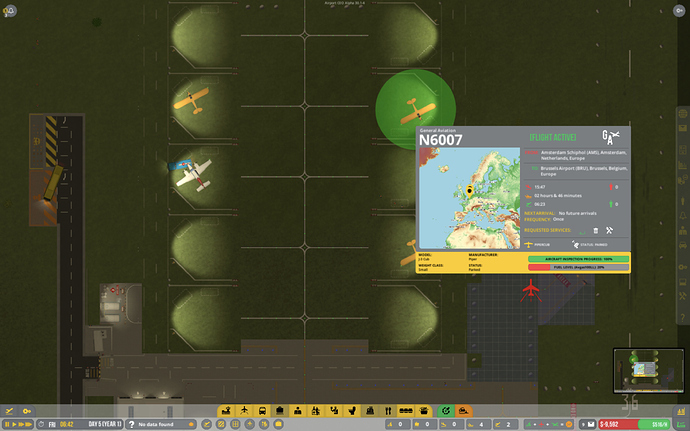 Cant give you screenshots at the moment, the problem aircrafts just disappeared. Will post some if the problem comes up again. All Piper Aircraft disappear after save and reload. And return to my Airport, but do not leave. I suspect about type of your runway and taxiways. 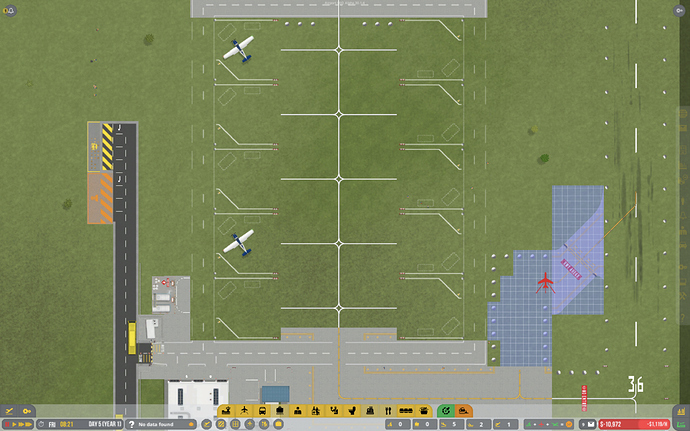 Maybe making runway and taxiways (including runway exit) grass only OR asphalt/concrete only would solve it. It also happend on grass only in a different savegame. I think there is something strange with your case. I suggest you to send a bug report to developers via in-game bug report system. Already done. Thanks for your help though. I can only see one finished runway entry in your screenshot, so maybe I’m wrong. 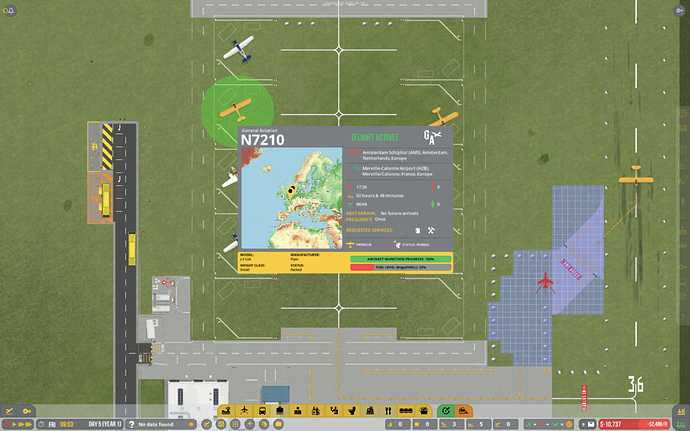 Did you check if there is a finished/connected runway entry where aircrafts are allowed to enter the runway? The visible one is set to “Exit only”. 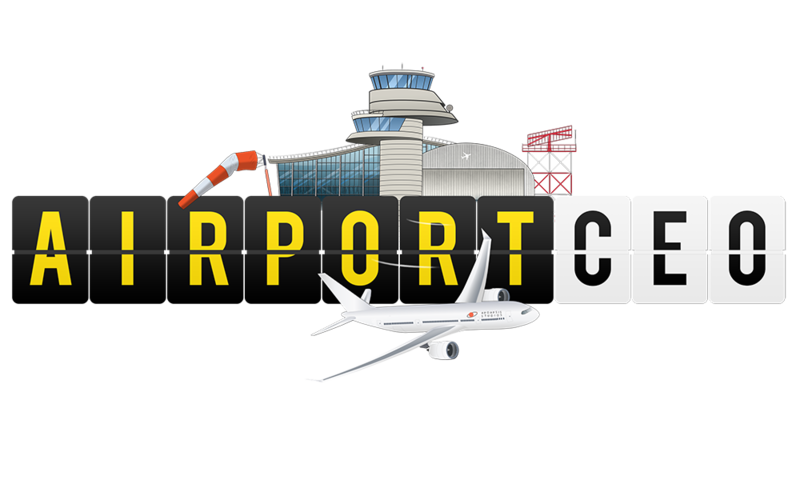 Did you check if there is a finished/connected runway entry where aircrafts are allowed to enter the runway? No there is one entry up in the north.